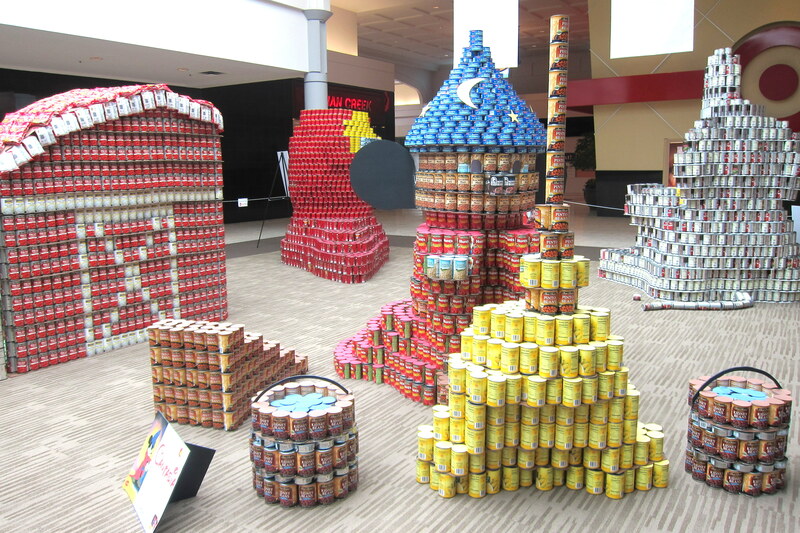 Our local food pantry, Harvesters, does a yearly competition where businesses build structures out of cans. Then when the competition is over, all the cans are donated to Harvesters to feed those in need. The designs are on display at the mall for about a month. 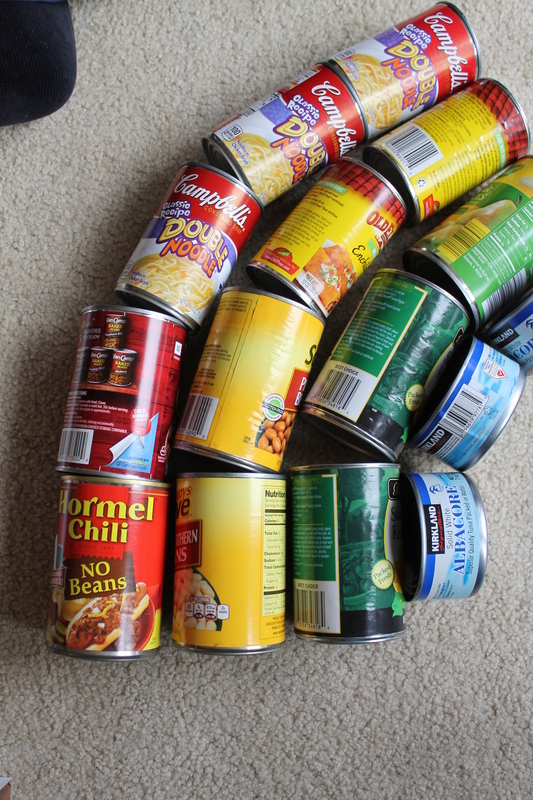 Colors- Talk about the different colors on the cans, then divide them into groups or make a rainbow. Size- Compare sizes of cans. Find all the cans that are the same size. What happens when you stack a large can on a small one? 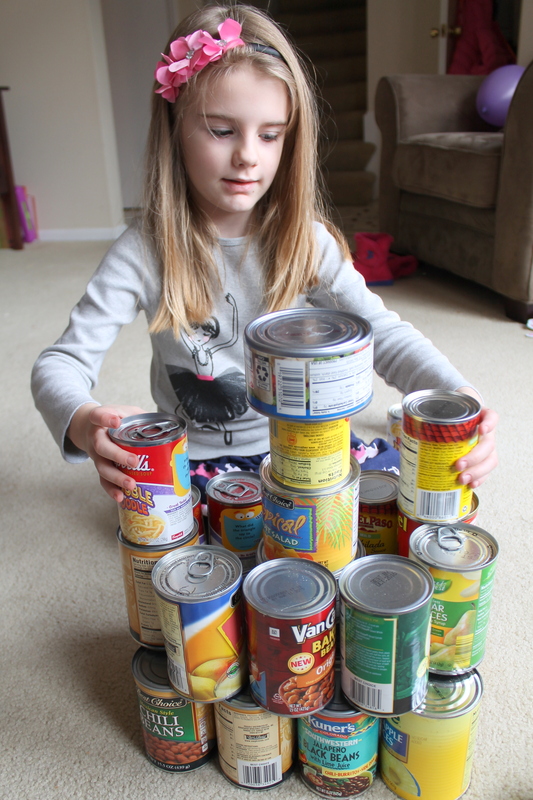 Counting– How many cans in all? Count how many you can stack in a tower. Reading– Beginning readers might be able to read some of the labels using the picture as a clue. If they know it is a can of corn, see if they can pick out the word “corn” on the can. 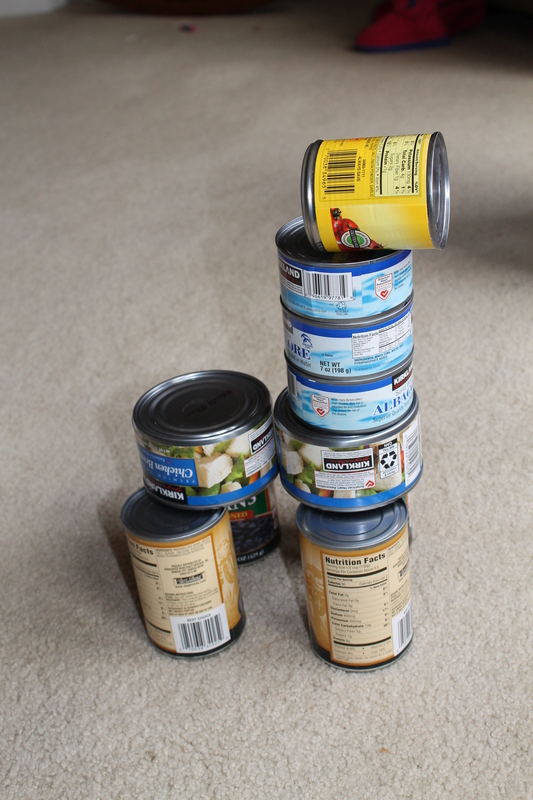 Letters- Try to make letters or even words out of the cans. Creative building– And the most fun, building! What a great post! 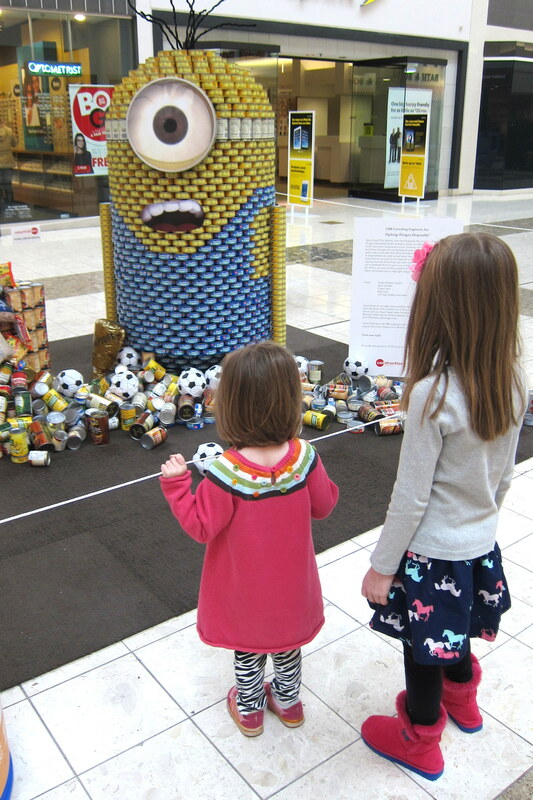 I love the displays with the cans — what a neat activity in your community! I’ve never seen anything like that. Thanks so much for sharing this with After School! The displays at the mall are really amazing!